Norfolk County Council has a legal responsibility under the Equality Act 2010 to have due regard to eliminating discrimination, harassment and victimisation, advancing equality of opportunity and fostering good relations between people. They have created a short survey to inform the future strategy in tackling hate/mate incidents in all its forms going forward. Nominations are now open for Broadland District Council's new Broadland Community at Heart Awards 2015 which will celebrate those in our communities who go above and beyond what is expected of them just to improve the lives of others. The government is to develop a 10-point plan for the rural economy as part of its efforts to increase productivity. The Advocate General of the European Court of Justice (ECJ) has given his opinion on what constitutes 'working time' for mobile workers under the Working Time Directive. According to him, if workers travel from home to a variety of different locations to carry out their duties, the time spent travelling to the first and from the last assignments of the day should count as working time. 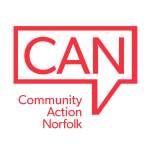 West Norfolk CCG is launching a new fund to encourage and support innovative ways of helping local people to remain independent within the community. Could you help to review a project for young adult carers' in Norfolk? Thank you to everyone who attended the ‘Stronger Together’ VCSE Conference on the 7th July. Feedback has proved to be highly positive, with 98% of delegates saying they would attend a similar event and 94% rating the day as good or excellent. Could the charity you work for or one you know benefit from new funding or free training? The GSK IMPACT Awards recognise and reward charities that are doing excellent work to improve people’s health. Winners receive numerous benefits, including up to £40,000, free development training from The King's Fund and the opportunity to be part of the prestigious GSK IMPACT Award network. For more information please click here.